In our very diverse and fast-moving lives, it is an unreasonable expectation to believe we’ll recall some random action once the moment has passed. Because of this, we made it a personal policy to write random tasks onto recycled scrap paper which litters our desks like troublesome tumbleweeds if not handled promptly. These items are little things that would not be placed in a ‘To do list’ or planner. Each of these small actions is random and often timely. If there is something that needs to be done and it can’t be done immediately, we write it down. Our approach of writing down any random tasks for future attention also makes room in our mind for the things we are working on presently. 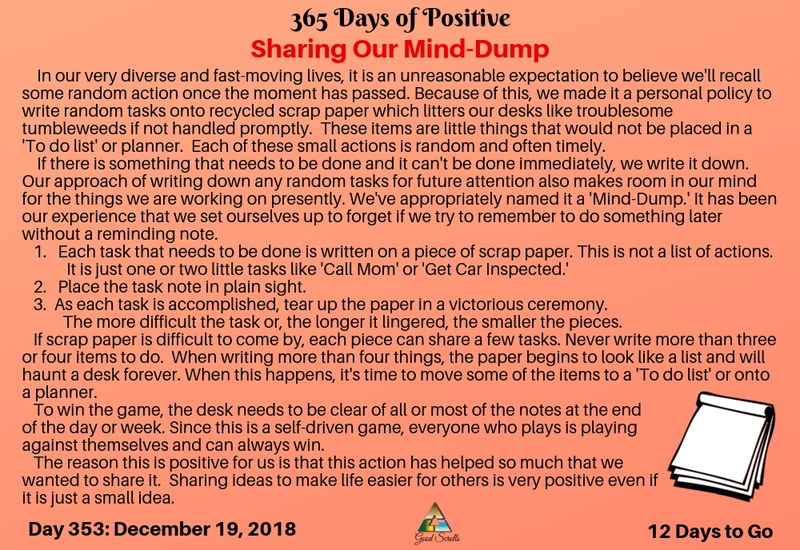 We’ve appropriately named it a ‘Mind-Dump.’ It has been our experience that we set ourselves up to forget if we try to remember to do something later without a reminding note. Place the task note in plain sight. As each task is accomplished, tear up the paper in a victorious ceremony. The more difficult the task or, the longer it lingered, the smaller the pieces. 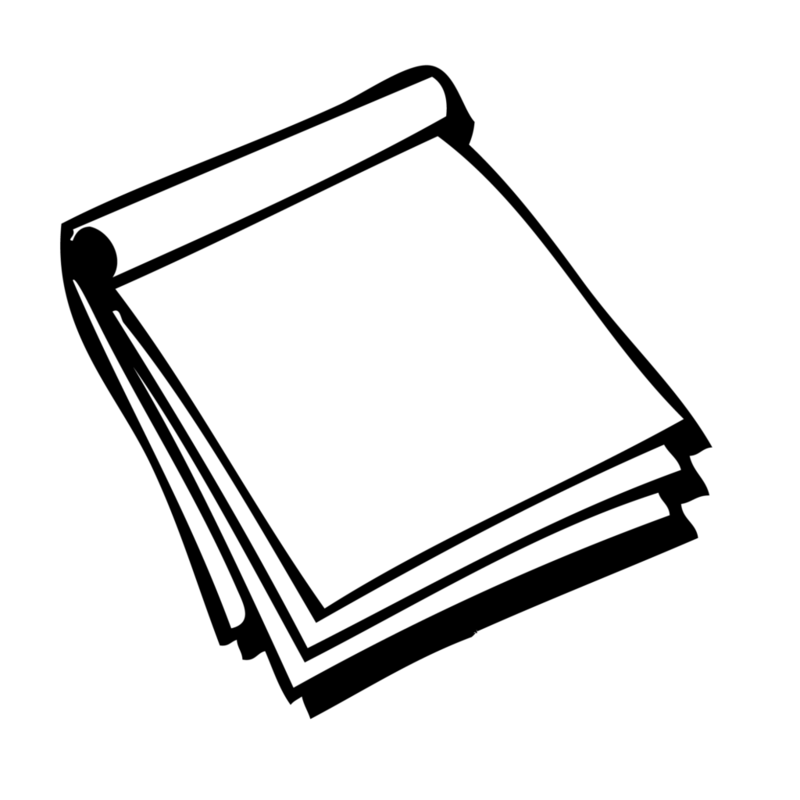 If scrap paper is difficult to come by, each piece can share a few tasks. Never write more than three or four items to do. When writing more than four things, the paper begins to look like a list and will haunt a desk forever. When this happens, it’s time to move some of the items to a ‘To do list’ or onto a planner. To win the game, the desk needs to be clear of all or most of the notes at the end of the day or week. Since this is a self-driven game, everyone who plays is playing against themselves and can always win. The reason this is positive for us is that this action has helped so much that we wanted to share it. Sharing ideas to make life easier for others is very positive even if it is just a small idea.